Millicent is a young woman with a keen business sense. Her first business was sewing men’s pants for tailors. She is now on her 4th loan, using funds to expand. Originally employing 3 tailors, she now has a staff of 6. She has bought a second location in order to have room for both the tailors and her inventory, which has expanded to include petticoats, ready-made clothes, and dust covers for furniture. By watching her supply and demand carefully, Millicent selectively chooses what she offers in her business, filling an important niche market. Millicent and her husband have four children, including one set of twins. 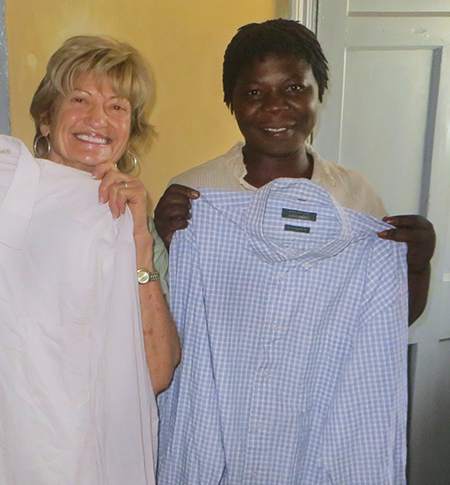 Millicent has many fans of her fine tailoring!